: Five years after an ominous unseen presence drives most of society to suicide, a survivor and her two children make a desperate bid to reach safety. "Kind of a _The Happening_ meets _A Quiet Place_, but better than the latter and **way** better than the former. Maybe I didn't get eeeeeeverything I wanted out of _Bird Box_ but I'm still on board. I know that I opened this up by saying the movie is very much like two other movies, but what I liked most about is honestly that it's unlike 99.99% of the horror genre, and that little variation was just what I needed today. _Final rating:★★★½ - I really liked it. Would strongly recommend you give it your time._"
"***Well, at least it doesn’t have zombies*** A mass epidemic strikes Earth which makes people go crazy and commit suicide, but only IF they are not blindfolded and SEE the mysterious phenomena. A group of Californians find succor in an abode with covered windows. One woman (Sandra Bullock) and two children try to make it down a remote river to find sanctuary, blindfolded. Trevante Rhodes and John Malkovich costar. 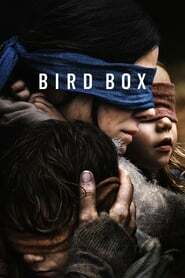 “Bird Box” (2018) is a post-apocalyptic survival adventure/horror with an original concept and elements of flicks like “The Book of Eli” (2010), “The Mist” (2007), “Carriers” (2009) and “Stake Land” (2010). 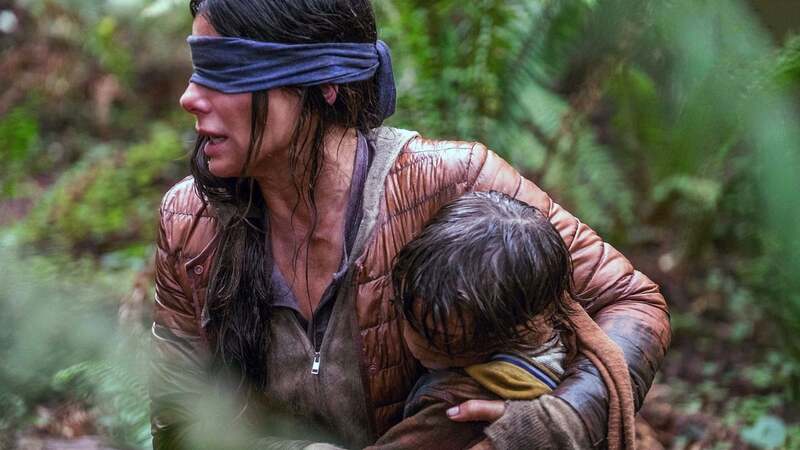 The reason for the apocalypse is what makes “Bird Box” standout and, thankfully, there are no zombies, yet it’s the least of these for a couple of reasons. For one, I didn’t find the dramatic dynamics of the group all that captivating, but it was okay. If you’re a fan of Bullock you’ll probably like this movie more than me. I appreciated Rosa Salazar as Lucy, but her role isn’t that significant. Meanwhile Rhodes and Malkovich are effective. The concept behind the mass crisis is where the movie fails. It’s sort of explained and yet it isn’t. There are too many inconsistencies and what appears to be plot holes. It’s basically a bunch of malarkey and reflects lazy writing. People on message boards debate back-and-forth ad nauseam, but the movie’s too nonsensical and meh to make it worth the effort. The film runs 2 hours and 4 minutes and was shot in Southern Cal (Monrovia, La Puente, Santa Clarita, Smith River, Scripps College and Los Angeles). GRACE: C"